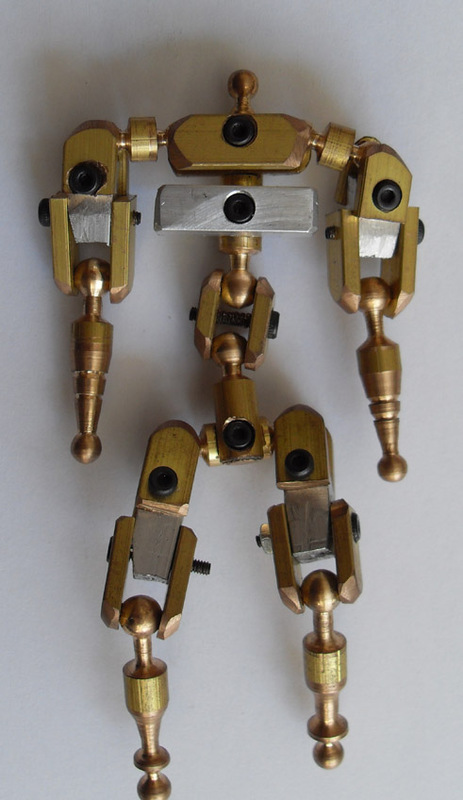 this is a brass fully poseable armature. 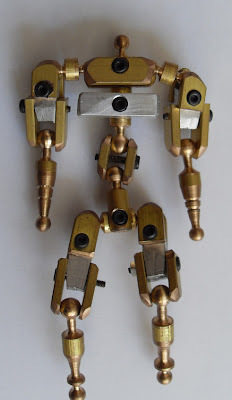 It stands around 8cm tall and comprises mostly of ball joints machined on the aforementioned lathe. Here also is the plans for the armature which i managed to stick to fairly accurately! 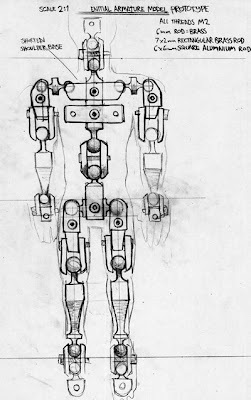 this was only a prototype version, I will be ironing out the design flaws and making more on a slightly larger scale more appropriate to stop motion work.